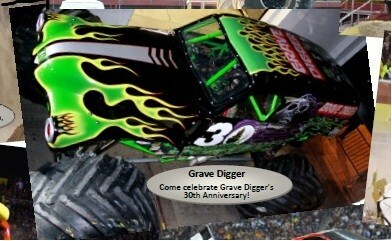 Come join us to celebrate Monster Jam’s 30th anniversary of Grave Digger! While at the show, you will be captivated by an incredibly family-friendly experience starring the biggest performers on four wheels: Monster Jam monster trucks. 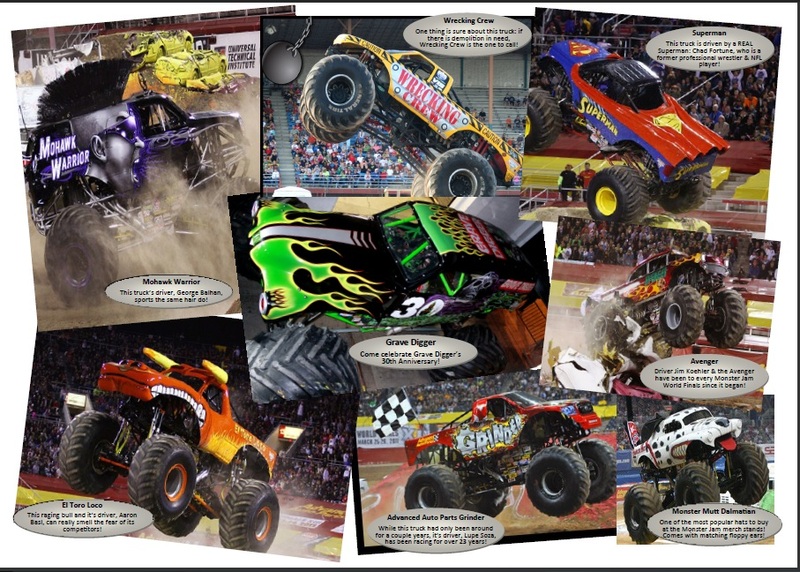 These twelve-feet-tall, ten-thousand-pound machines will bring you to your feet, racing and ripping up a custom-designed track full of obstacles to soar over - OR smash through. 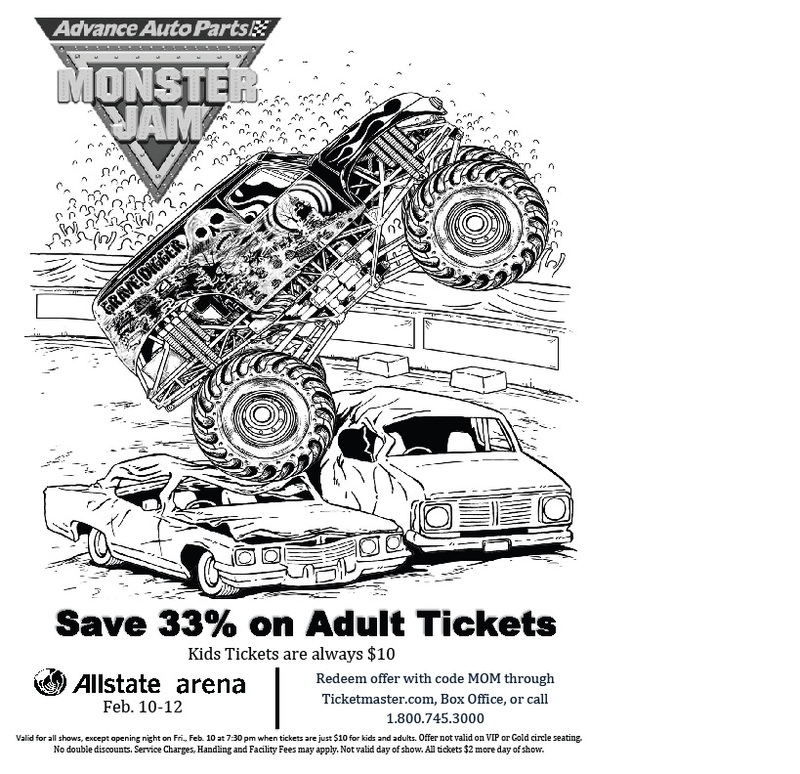 Monster Jam provides a massive night’s entertainment tailored perfectly for your family’s budget, and these colorful, larger-than-life beasts are sure to capture the hearts of both young and old. Save 33% on Adult tickets with code “MOM” – Kids tickets are always just $10. Valid for all shows, except opening night on Fri., Feb. 10 at 7:30 pm when tickets are just $10 for kids and adults. Discounts not valid on VIP or Gold Circle Seating. All tickets $2 more day of show. Discount not valid for purchases day of show. Want to see the show? 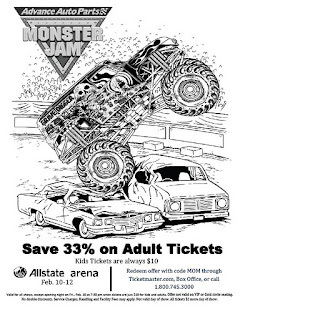 Buy Monster Jam Tickets here and check out more venue locations for Advance Auto Parts Monster Jam! Disclaimer: I will receive complimentary tickets for sharin gthis information with my readers. 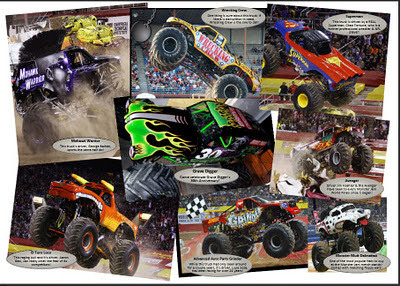 Helpful Tip Monster Trucks have large loud engines so bring earplugs! I love sports and games,at this time it's my desired to watch the games live in Chicago,for my enjoyment and fun with my friends,but i am looking for discount and an affordable tickets rates to join this sports game at this time in Chicago.